WASHINGTON – Secretary of Agriculture Sonny Perdue announced [yesterday] that USDA is investing $2.5 billion in rural electric infrastructure improvements to help create jobs and support economic development in 27 states. “These significant investments will help develop and maintain modern, reliable electric infrastructure that businesses and rural communities need in a 21st Century economy,” Perdue said. “The loans I am announcing today will help utilities and cooperatives build new transmission and distribution lines, upgrade networks and facilities, and better manage the power grid.” Click here to read more. The United States military uses more petroleum than any other entity in the world, but over the next 10 years it plans to ramp up its microgrid spending in an effort to reduce fossil fuel dependence, according to a new report from Navigant Research. 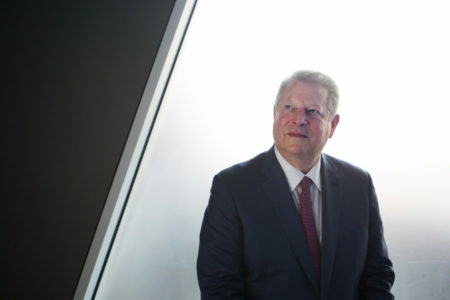 The People’s Film Festival: An Inconvenient Sequel: Truth to Power will be shown Monday, November 6th at 7pm in the Common Room at First Unitarian Church, 3114 Harney Street in Omaha. This entry was posted in NewsBlog and tagged An Inconvenient Sequel: Truth to Power, energy storage, investments in renewable energy, renewable energy news, The People's Film Festival - First Unitarian Church in Omaha, USDA Rural Development loans on November 3, 2017 by Helen Deffenbacher.